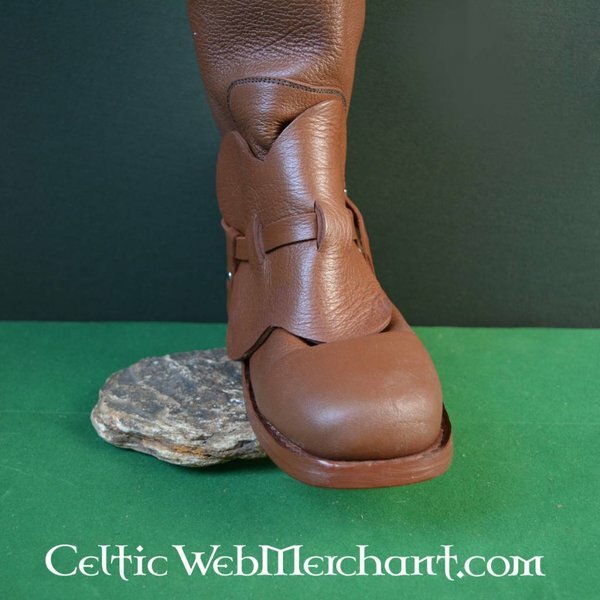 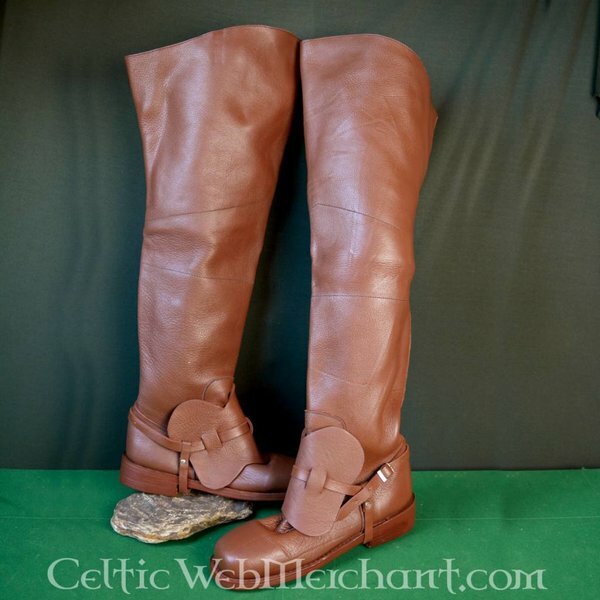 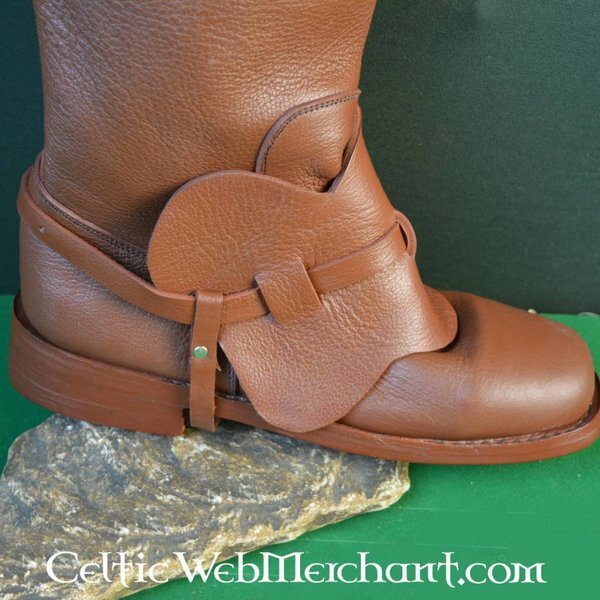 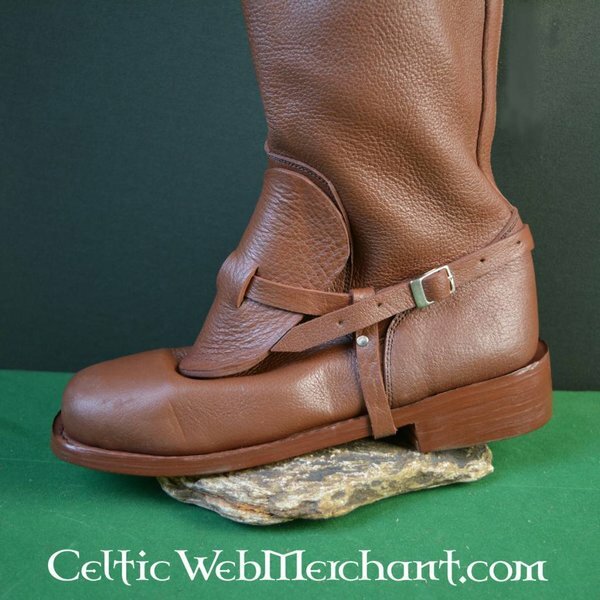 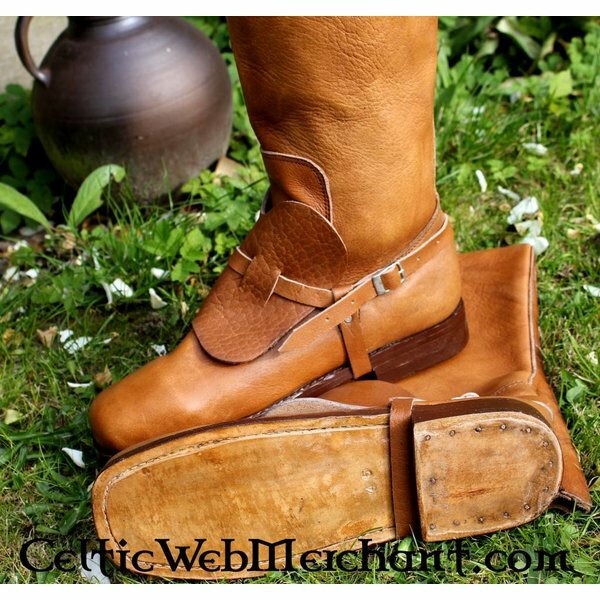 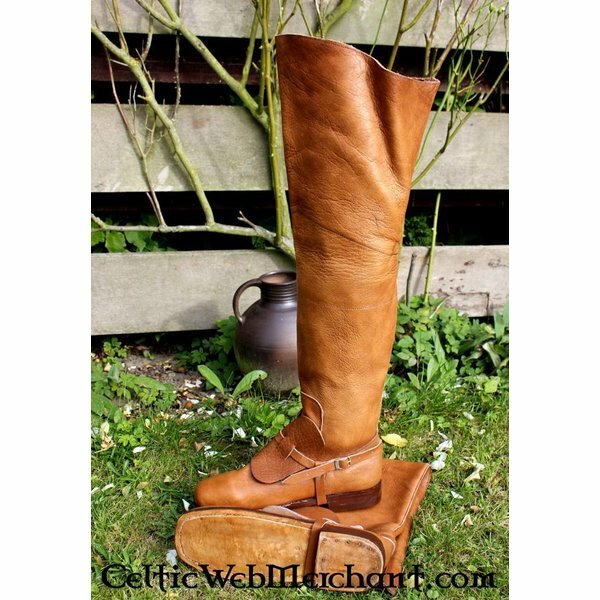 These boots are made after several originals that were worn by French musketeers in the 17th century. 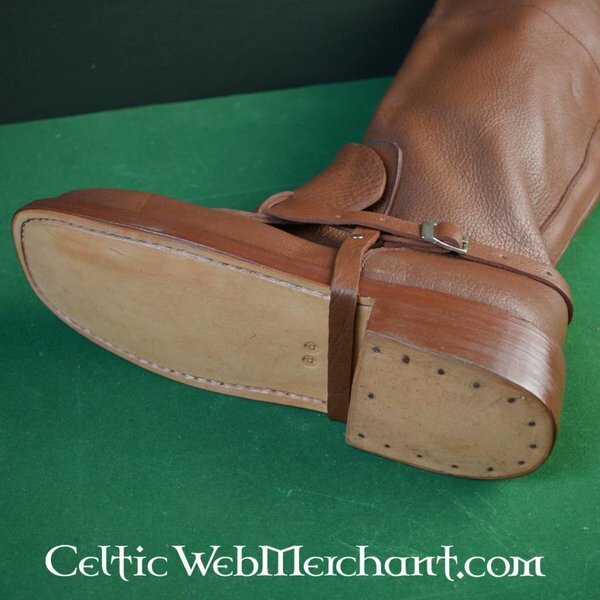 They are made of a high quality leather and they have a leather sole. These shoes are suitable for intensive use.